Find all Game Code stores and prices to download and play Shooty Fruity at the best price. Save time and money: Compare CD Key Stores. Activate Shooty Fruity CD Key on your Steam client to download the game and play in multiplayer. You can participate to these tests by adding comments about your digital download purchase in the store review page. 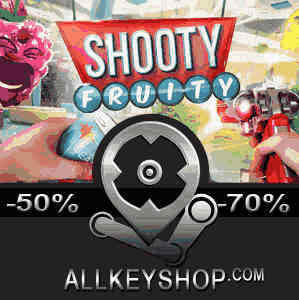 Enjoy the best deals for Shooty Fruity CD Key with Allkeyshop.com! 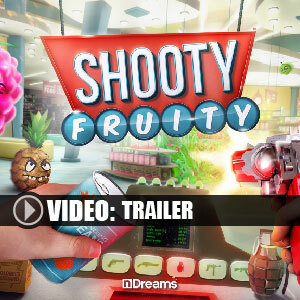 Shooty Fruity is an action simulation video game that is developed by nDreams and Near Light and published by nDreams. Will you be able to secure your store and multitask? 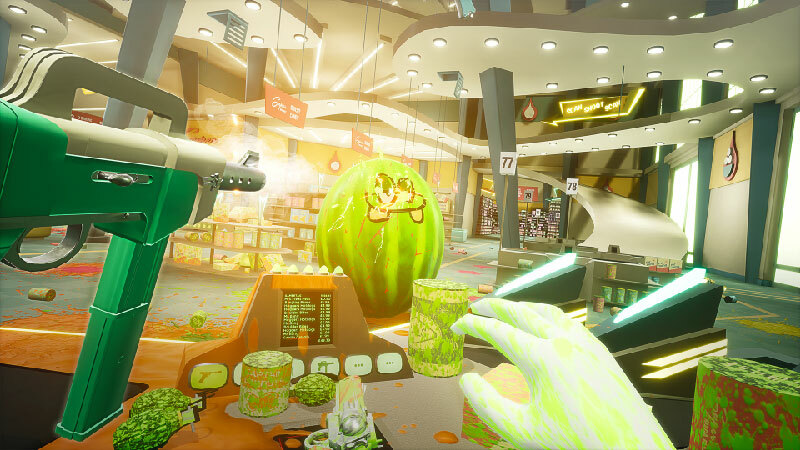 This VR multi-tasking shooter will have you doing so using your VR headset and motion control. You will play as a clerk doing your job as well as shoot at mutated fruits attacking you, and you must do both very well. You must “shoot & serve” at the same time. Choose from the different careers available like check out or canteen and more. 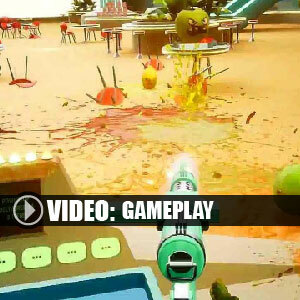 Equip yourself with fruit-killing guns that are customizable. Explosives and power-ups are also available for you. 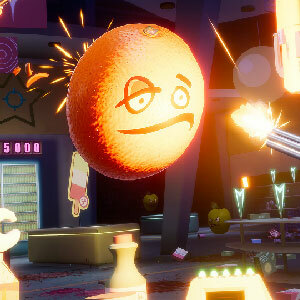 There is so much mutated fruit to shoot at and you must get them all. 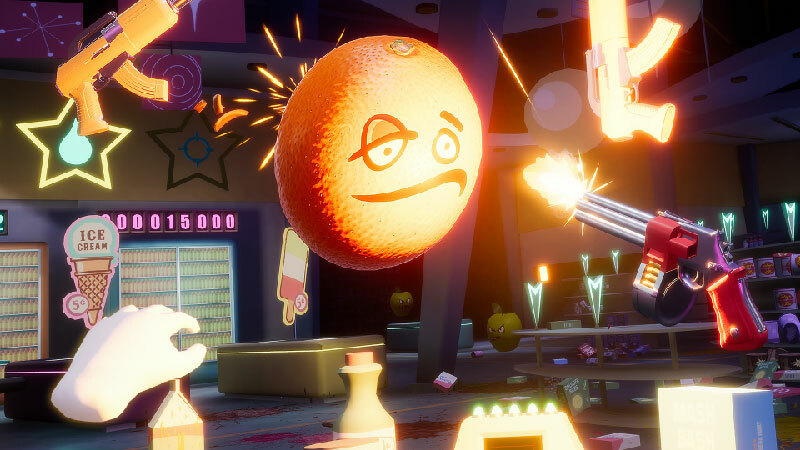 It’s just a simple job – scan, serve and pack the items while being aware of all the crazy mutated fruit coming your way and shooting at them with all you’ve got. Don’t let any of these buggers come near you and also don’t keep the customers waiting. 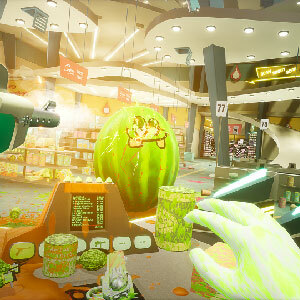 Probably the only multitasking game on VR right now, are you up to the challenge that Shooty Fruity brings? There are 10 offers ranging from 9.64€ to 19.99€. STEAM CD KEY : Use the Steam Key Code on Steam Platform to download and play Shooty Fruity. You must login to your Steam Account or create one for free. Download the (Steam Client HERE). Then once you login, click Add a Game (located in the bottom Left corner) -> Activate a Product on Steam. There type in your CD Key and the game will be activated and added to your Steam account game library. EU STEAM CD KEY: Requires an EUROPEAN IP address or you must activate it with a VPN (Virtual Private Network) in order to play Shooty Fruity. Might have languages restrictions or language packs. Read the description on the store game page to know if the EU IP is only needed for activation or for playing also (maybe on EU Servers). Most of the stores offer you their help, or show you how to do this with a tutorial to follow.